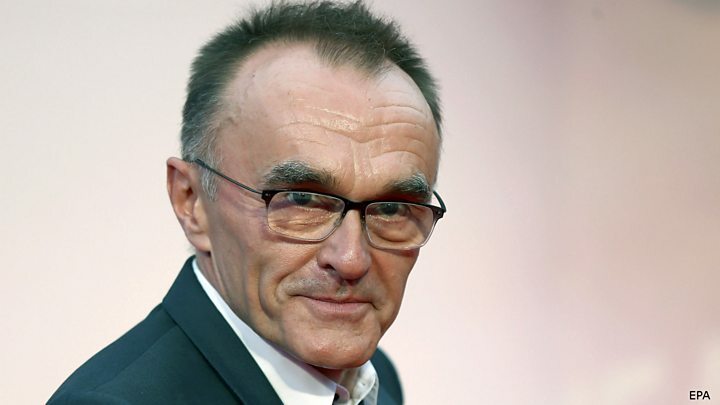 The shock announcement that Danny Boyle has pulled out of directing the next Bond film has got the world speculating on the reasons behind his departure. The official explanation provided is "creative differences". But there could be more to it than that. Was the schedule too tight? The release date too inflexible? Or were Boyle's ideas too radical for the producers behind the venerable screen franchise? We may never know. Yet the thoughts of another British director who turned his back on Bond might offer some clues. Back in 2006, Roger Michell was in negotiations to direct the 22nd official instalment in the series - the film that was eventually named Quantum of Solace. The Notting Hill director was well placed to helm the Casino Royale follow-up, having previously worked with Daniel Craig on 2003's The Mother and 2004's Enduring Love. Plans for what was then known as Bond 22 were already in motion well before Casino Royale - Craig's first outing as Bond - opened in cinemas. There were even hopes his second film might be ready for release by the end of 2007 - a mere 12 months on from Casino's November 2006 debut. Speaking in 2012, Michell said the abbreviated schedule ultimately proved too great a hurdle for him to continue. "They were desperate for a Bond film to come out in 2007, and in the late summer of 2006 we didn't have a script," he told the BBC. "I'm a preparer," he continued. "I like to really prepare things, and if there's no script it's hard to know how to start. "And with such a massive project as a Bond film, it seemed to me that I wanted as much time as possible." Michell revealed his discussions with Bond producers Barbara Broccoli and Michael G Wilson eventually reached a tipping point. "And I was saying, 'what action sequences?' Basically I freaked out. "What's annoying is they very sensibly put it back a year because they realised that they didn't have enough time. But even after a year, it wasn't a great script." Quantum of Solace was eventually released in October 2008, with German-born director Marc Forster at the helm. Craig went on to make another two Bond films, 2012's Skyfall and 2015's Spectre, both of which were directed by Sam Mendes. Bookmaker William Hill reports a flurry of bets on Mendes taking over from Boyle on Bond 25, trimming his odds of being the next director to 7/1. Scotland's David Mackenzie is the current favourite, followed by Denis Villeneuve and France's Yann Demange. Michell, whose recent films include 2017's My Cousin Rachel and 2018 documentary Nothing Like a Dame, is not alone in being a James Bond nearly man. During a chance meeting with Roger Moore in the early 1970s, the young Steven Spielberg revealed he would love to direct an instalment in the series. Moore conveyed Spielberg's interest to producer Albert R "Cubby" Broccoli, who rejected the idea out of hand. "Do you know how much of a percentage he'd want?" Moore recalled Broccoli saying in his 2008 memoir My Word is My Bond. "It's always been policy that no Bond director ever got a slice of the box office profits," the late actor went on to claim. Speaking in 2016, Spielberg revealed he made two further overtures to Broccoli, once after the release of Jaws and again after Close Encounters of the Third Kind. "I called up Cubby and offered my services but he didn't think I was right for the part," he told The Independent. Another film-maker whose interest was reportedly rebuffed was Quentin Tarantino, who revealed in 2004 he had once hoped to make a black-and-white version of Casino Royale set in the 1960s. "I'm annoyed that the James Bond producers never called me to talk about it," he later said. "They should have at least had the courtesy to have coffee with me." Boyle got further than either of his fellow Oscar-winners, having directed Craig in the Bond-inspired short shown during the 2012 Olympics opening ceremony. Now, though, his unmade Bond film seems destined to join the list of tantalising 007 projects never to make it off the drawing board. What will director Danny Boyle bring to James Bond?